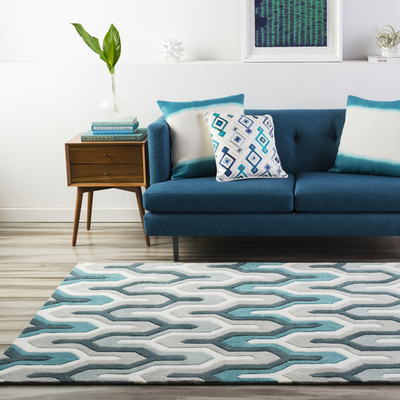 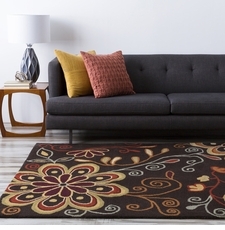 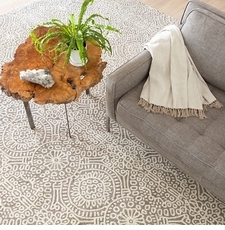 Hand hooked and tufted rugs are soft to the touch and the warmth and color can bring a room to life. 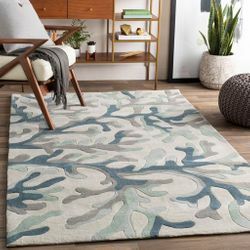 These rugs are typically made from wool, but new blends like viscose, silk and bamboo can be added texture and interest. Because of natural oils, wool is naturally stain-resistant. 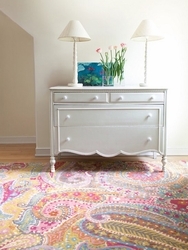 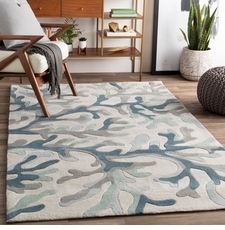 Wool is a durable fiber that springs back, making them a perfect fit for your next beach themed rug. 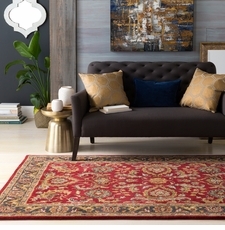 Hand Knotted rugs are made with an ancient technique that has been handed down from generation to generation and haven�t changed in forever. These rugs make a superb investment that will last years. 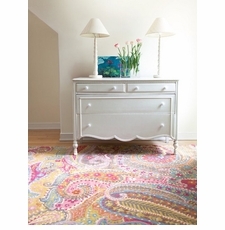 Yarn is wrapped and then knotted around each vertical warp thread. 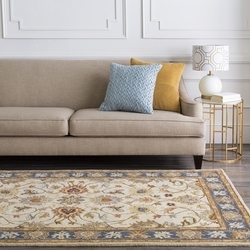 Each yarn is then hand-cut and hand-tamped to form tightly constructed knotted carpet rugs. 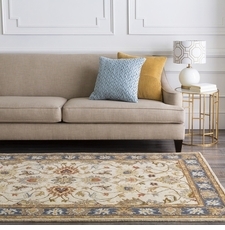 The time and attention to detail by expert craftsmen results in a beautiful rug with a lasting value and presence.